USC terminated senior associate athletics director Donna Heinel and men’s and women’s water polo head coach Jovan Vavic Tuesday in connection to a FBI investigation accusing nearly 50 celebrities and executives of participating in admission scams. They were accused of portraying their children as athletic recruits, despite little to no prior athletic experience. Vavic and Heinel, along with former women’s soccer coaches Ali Khosroshahin and Laura Janke, were indicted Tuesday for their involvement in the case. The indictment also alleged that parents paid to alter their children’s college entrance exam scores and secure admission at eight universities including USC, Stanford, Georgetown, UCLA and Yale. According to court records, The Edge College & Career Network, a for-profit college counseling business founded by William Rick Singer, is accused of running the student-athlete recruitment scam. Parents across all eight universities named in the charges allegedly paid Singer nearly $25 million from 2011 to 2019 to admit students to universities through false athletic recruitment and to strengthen chances of acceptance by changing applicants’ SAT and ACT exam scores by bribing test proctors. Singer, who was charged with money laundering, obstruction, racketeering and conspiracy to defraud the United States, is expected to plead guilty, according to Lelling. 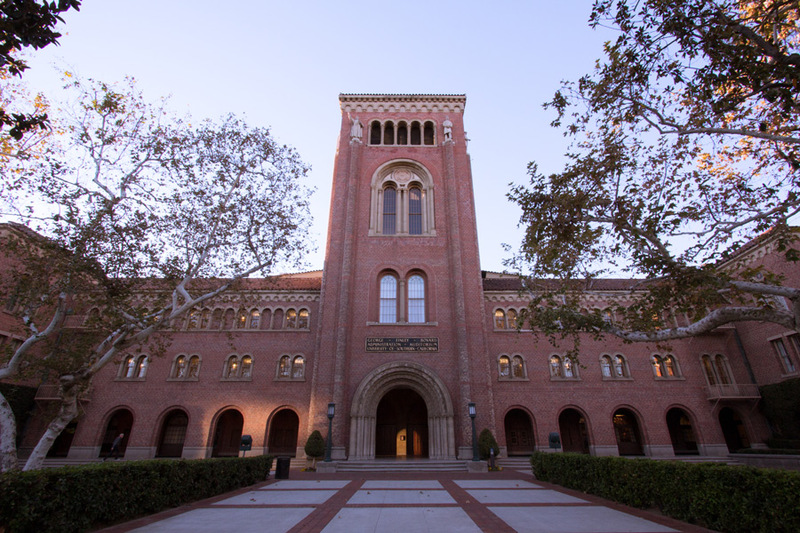 To earn admission to USC, Singer allegedly bribed the four USC Athletics staffers. The scam allegedly involved forging information on applications to allow certain applicants to be admitted as athletic recruits, despite having no experience and not playing once recruited. The court records allege Singer directed payments totalling to $350,000 to a private soccer club owned by Janke and Khosroshahin, where their children would be members of the USC women’s soccer team, despite never playing. Similar payments were allegedly made to grant students admission to the USC water polo team, though they never once participated. More than two dozen students were admitted to USC under false student-athlete pretenses, the court records alleged. Forty executives and actresses have been named in the indictment for alleged involvement in both college entrance exam cheating and false athletic recruitment for sports including men’s water polo, women’s soccer, women’s lacrosse and football. Several applicants involved in exam cheating reportedly received extra time on exams. 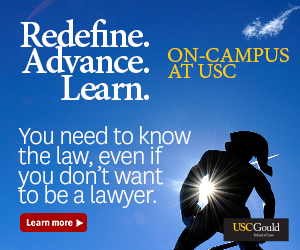 USC associate professor of dentistry Homayoun Zadeh allegedly conspired to bribe Heinel into designating his daughter as a USC lacrosse recruit, despite having never played competitively, court records said. Entrepreneur Peter Jan Sartorio’s daughter, a USC applicant, received a score of 27 on her ACT after she was allegedly provided with extra time, which placed her in the 86th percentile. She previously scored 900 on her PSAT, which placed her between the 42nd and 51st percentile, court records said. In one instance, Heinel, Janke and Singer allegedly agreed to recruit an applicant to the USC women’s crew team in September 2016. The court records state Singer sent photos of the “applicant” in a boat; however, the photos were not of the applicant, according to the court records. The USC athletic admissions subcommittee granted the applicant conditional acceptance to USC in October 2016, as long as she met the NCAA eligibility requirements, the court records said. William McGlashan, a founding partner of investment firm TPG Growth, is accused of participating in the admissions scheme in order to grant his son admission to USC, court records said. McGlashan’s son wanted admission to the Iovine and Young Academy, the court records said. The founder of the scheme who operated the Key and KWF, who was labelled in the documents as cooperating witness, allegedly created a fake football profile that labeled McGlashan’s son as a kicker and punter, though his high school did not have a football team. To make the profile, the cooperating witness allegedly said he would Photoshop McGlashan’s son onto photos to portray him as a kicker. In a phone conversation, the cooperating witness also allegedly said Heinel instructed him on how to make the fake profile for McGlashan’s son. McGlashan was also instructed to make a two-part $250,000 donation to women’s athletics, according to the phone transcripts in the court records. In phone conversation, McGlashan also allegedly discussed how to keep the means of admission secret from his son. Once the cooperating witness agreed to cooperate with the government’s investigation in September 2018, the court records allege he warned McGlashan and other clients about the investigation and later agreed to an additional charge of obstruction of justice when he began cooperating again. 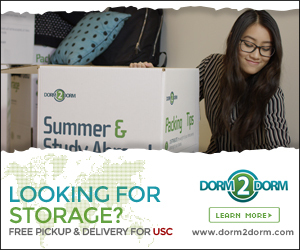 “Fuller House” actress Lori Loughlin and husband and fashion designer Mossimo Giannuli, resort executive Gamal Abdelaziz and investment firm CEO Robert Zangrillo are also among those accused of allegedly bribing USC athletic department officials and creating fake athletic profiles to gain their children admission to the University. Loughlin and Giannuli allegedly paid to have fake profiles created for both their daughters, who currently attend USC, to appear as women’s crew recruits. According to the documents, neither daughter has experience rowing or currently rows for the University. In an email to the USC community, Interim President Wanda Austin stated that USC is considered a victim in this case. She said the alleged bribery was mainly perpetrated by the now-terminated staff named in the case. Austin said the University is taking “significant remedial actions,” including reviewing admission decisions, identifying any funds that could be connected to the allegations and implementing new processes and training to prevent future schemes. According to a public statement from USC, the University will continue to cooperate with government investigations and take steps internally to remediate the issue, including conducting an internal investigation to take any necessary employment actions.